CHEVROLET 3100 1953 PICK UP BLUE 1:18. Per qualsiasi info CONTATTATEMI. Vehicle Year 1941. Model Pickup. Series Hot Wheels First Editions. Vehicle Make Ford. Gender Boys. Color Yellow. Features Short Card Variant. Vehicle Type Truck/Lorry. Fatto da Maisto. Sub-Type CHEVROLET. Colore: Nero. Gender Boys & Girls. Color Black. Year of Release 2016. Scale 1:24. Vehicle Year 1993. Year of Manufacture 1993. Vehicle Make F. UPC Does not apply. Driver Jeff Gordon. Material Diecast. Vehicle Type Pickup Truck. Scale 1:24. Model 1953 CHEVY PICKUP. 1953 CHEVROLET PICK-UP . Vehicle Year 1953. CAMION . 4 X RUOTA EXTRA. Series JUST TRUCKS. NUOVO . Gender Boys. JADA solo camion 2017 FORD F-150 RAPTOR PICK UP camion 1/24 DIECAST nero. Realizzato da jada. Year of Release 2017. Vehicle Make FORD. Year of Manufacture 2017. Vehicle Year 1955. Country/Region of Manufacture China. Bel camion in metallo pressofuso, bello con scatola originale, vedi l'ultima foto per dimensioni. Vendiamo una vasta gamma di giocattoli vintage e antichi tra cui giocattoli degli anni '30, '40, '80, '60, '70 e '80. Abbiamo uno dei più grandi negozi di giocattoli antichi su eBay quindi assicurati di controllare il nostro negozio per scoprire che deve avere l'elemento che ti è mancato dalla tua collezione. Acquistiamo costantemente nuovi articoli da collezioni, vendite di immobili, aste, mercatini delle pulci, ecc. Quindi assicuratevi di controllare spesso se non vedete l'articolo che state cercando. Non esitate a contattarci per qualsiasi domanda tu possa avere. Ci impegniamo a spedire in modo rapido e sicuro. La spedizione combinata è sempre disponibile. JADA solo camion 2017 FORD F-150 RAPTOR PICK UP camion 1/24 DIECAST rosso. Realizzato da jada. Year of Release 2017. Vehicle Make FORD. Year of Manufacture 2017. Vehicle Year 1955. Country/Region of Manufacture China. Type NASCAR. Organization NASCAR. Year of Manufacture 1993. Vehicle Make Chevrolet. Vehicle Year 1993. UPC Does not apply. Driver Jeff Gordon. Material Diecast. Sub-Type PLYMOUTH. Vehicle Make Plymouth. Material Diecast. (PR, CIAO, AK, P. O BOX, APO, FPO, CIAO). Year of Release 2012. Scale 1:24. Model 1967 Pickup. Vehicle Make Chevrolet. UPC Does not apply. Material Diecast. JOHNNY LIGHTNING 1959 FORD F-250 PICK UP TRUCK 1/64 DIECAST nero JLCP7005-24. Vehicle Year 1959. Vehicle Make FORD. Year of Manufacture 2017. UPC Does not apply. Material Diecast. Series All Stars. Color BLACK. Fatto da Maisto. Colore: Nero. Gender Boys & Girls. Year of Release 2014. Scale 1:27. Volkswagen Bus Pickup. Scala 1: 64 Die Cast Replica. Features Unopened Box. Vehicle Type Car. Scale 1:64. Normale usura può essere previsto. Fare ogni sforzo per segnalare eventuali problemi evidenti. Fatto da GREENLIGHT. Vehicle Make Dodge. Year of Release 2016. Material Diecast. Gender Boys & Girls. Color BLUE. Scale 1:64. Fatto da Jada. Vehicle Make Volkswagen. Model chevrolet. Series All Stars. Year of Manufacture 2018. Vehicle Make Jeep. Vehicle Year 1981. UPC Does not apply. Material Diecast. Gender Boys & Girls. 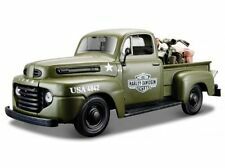 1954 FORD PICK-UP F-100 ELVIS PRESLEY 1/64 DIECAST DI GREENLIGHT 44800 B. Vehicle Make FORD. Fatto da GREENLIGHT. Year of Manufacture 2018. Vehicle Year 2018. Material Diecast. Gender Boys & Girls. Color White. Vehicle Make Ford. Material Diecast. (PR, CIAO, AK, P. O BOX, APO, FPO, CIAO). Year of Release 2011. Scale 1:24. Vehicle Make Ford. Year of Manufacture 2017. Misura circa 24 cm di lunghezza. Material DieCast. Colour Black. Vehicle Year 1956. Model 1956 FORD F-100 PICKUP TRUCK RARE 1/64 LIMITED DI. Scala 1: 64. Vehicle Make Ford. Features Limited Edition. Vehicle Type Truck. Scale 1/64. Tutti i prezzi sono elencati. 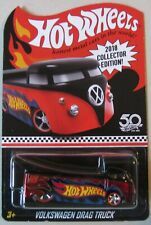 Caldo ruote personalizzate VOLKSWAGEN T2 pick-up East L.A. pressofuso Visualizza ruote in gomma di veri piloti codice-3 da collezione Die Cast Model Car 1: 64 scala Limited Edition! 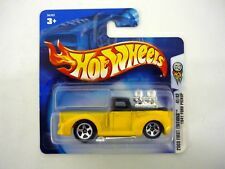 Series Hot Wheels Real Riders. Vehicle Year 1966. Vehicle Make Chevrolet. Material DieCast. EAN 661732733552. 1972 '72 CHEVY CAMIONCINO GIALLO CHEYENNE SOLO CAMION DIECAST JADA 2015. Model CHEYENNE. Vehicle Year 1972. Series JUST TRUCKS. UPC Does not apply. Material Diecast. Color Yellow. Vehicle Type Truck. Series John deere. Vehicle Make Ford. Custom Bundle No. UPC 715236140832. ~ Pickup per autobus Volkswagen ~. Series High Profile. Normale usura può essere previsto. Fare ogni sforzo per segnalare eventuali problemi evidenti. Cerco di prendere le foto di tutte le aree e tutti i problemi. NESSUNA RISERVA. Vehicle Make Trabant. Questo equivale a dividere la lunghezza del reale veicolo IN pollici per 43. MPN IST 177A. Material Diecast. Country of Manufacture China. Year of Release 2013. NESSUNA RISERVA. 1/43 1957 Framo V901 pick-up, rosso e nero con giallo camion letto, tedesco Democratric Repubblica. Sub Type V901. Vehicle Make Framo. MPN IST 034. Questo equivale a dividere la lunghezza del reale veicolo IN pollici per 43. Nuovo di zecca in cristallo duro caso 01:43 1999 F-150 Ford SVT Lightning. Colore: NERO. Vehicle Type Pick Up Truck. Vehicle Make Ford. Vehicle Year 1999. Color Black. Features With Case. Features Unopened Box. 1950 GMC pick UP. Vehicle Make GMC. Vehicle Year 1950. Model Pick Up. NUOVO IN SCATOLA. Material Diecast. Series Collector's Edition. Features Unopened Box. Misure circa 5.5 x 2,25 ampia x 2 alta in pollici. Type Step Side. Vehicle Make Chevrolet. Character Family Pick Up Truck. Produttore: MotorMax. Model Silverado LT Z71. Colore: NERO. Vehicle Year 2017. Year of Manufacture 2017. Vehicle Type Pickup Truck. Scale 1:24. Tutti i prodotti devono essere restituiti nelle stesse condizioni in cui sono stati ricevuti da voi. '63 Volkswagen Bus Pickup w / Sliding Bed. Scala 1: 64 Die Cast Replica. Features Unopened Box. Vehicle Type Car. Scale 1:64. Normale usura può essere previsto. Fare ogni sforzo per segnalare eventuali problemi evidenti. Misure circa 5.5 x 2,25 ampia x 2 alta in pollici. Series Ralli Art #33. Type Step Side. Vehicle Make Chevrolet. Character Family Pick Up Truck. Produttore: MotorMax. Model Silverado LT Z71. Colore: Blu. Vehicle Year 2017. Year of Manufacture 2017. Features Unopened Box. Features Real Rubber Tire. Features Opening Doors. 1941 Pick up Plymouth. Vehicle Make Plymouth. Vehicle Year 1941. MOTORE MAX. Color Blue. Vehicle Type Car. Scale 1:24. Normale usura può essere previsto. 01:18 motore Max - 1940 FORD PICK UP rosso / rosso - raro - nuovo / originale scatola. nuovo e imballatonella scala 01:18 - da motore Max. Marke Motormax. Series Autos Inolvidables. Scala 1/43 - con Stand - materiale pressofuso-. Vehicle Year 1972. Year of Manufacture 1972. Vehicle Make Ford. Model Ford F-100. Color White. Features Unopened Box. Vehicle Make Ranquel. Model Ranquel. Vehicle Year 1989. Year of Manufacture 1989. Color Multi-Color. Features With Stand. Features With Case. Vehicle Type Car. NESSUNA RISERVA. 1/43 1990 tedesco orientale Trabant 1.1 Open pick-up in bianco con le targhe "YFD 7-13". Vehicle Make Trabant. Questo equivale a dividere la lunghezza del reale veicolo IN pollici per 43. Volkswagen T1 - Pick Up - Coca Cola (1962). Series Coca Cola. Vehicle Year 1962. Year of Manufacture 1962. Vehicle Make Volkswagen. Material Diecast. Color Multi-Color. Features With Case. 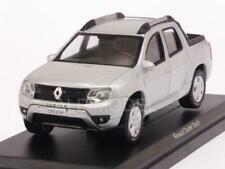 French Dinky Renault Estafette Pickup, good condition with light paint wear as pictured in good original box. 1948 Ford F-1 Pickup with removable 1958 Harley Davidson FLH Duo Glide Load. ALL MY LISTED MODELS ARE THE SURPLUS FROM LARGE JOB LOTS AND COLLECTIONS PURCHACED IN ORDER TO OBTAIN ODD MODELS FOR MY COLLECTION OF 1950s & 60s VANS. UNLESS YOU ASK FOR ONE SOONER. La macchina misura circa 6" lungo, 2.25" ampia, 3.25 "alto. Il veicolo di diecast è in buone condizioni. Vehicle Type Camper Truck. SOLIDO FORD V8 1936 PICK UP TRUCK with PNEUS DUNLOP adverts - good condition. The graphics are nice and include DUNLOP adverts on the sides and doors, number plates front and rear. Modellino HD"1999 Ford F-350 Super Duty Pickup"(1:27)+"2002 FXSTB Night Train"